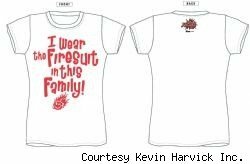 Looks like Delana Harvick is getting the last laugh on Joey’s quote….she is marketing a women’s T-shirt with all proceeds benefiting the Kevin Harvick Foundation. I will definitely be ordering one…how can you not? So go on over and check it out!